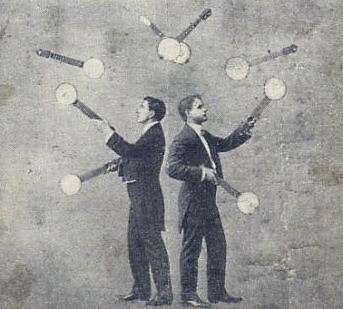 Previously, I’ve written about performers who combined juggling and playing musical instruments. I also wrote an entire article about the famed banjo juggler Franco Piper, whom you can read about by clicking here. 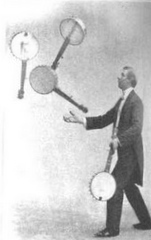 In this article, I’d like to examine some other banjo playing jugglers and some jugglers who specialized in the rare genre of tambourine spinning! 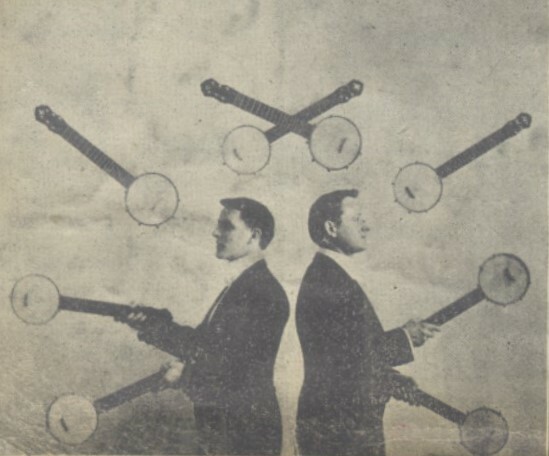 This review reflected what was often said of them; they were highly accomplished banjo players as well as jugglers. Below are photos and illustrations of the Howard Brothers. As you might note, a number of the photographs showed the brothers passing eight banjos. However, every mention of their act I am able to find only mentions them passing 6 banjos while playing them. Perhaps they passed eight without plucking out a tune. It would appear that at some point, one of the brothers quit and the other formed an act with a female partner. Not much personal information is known about the brothers, but their act must have been a sight to behold. 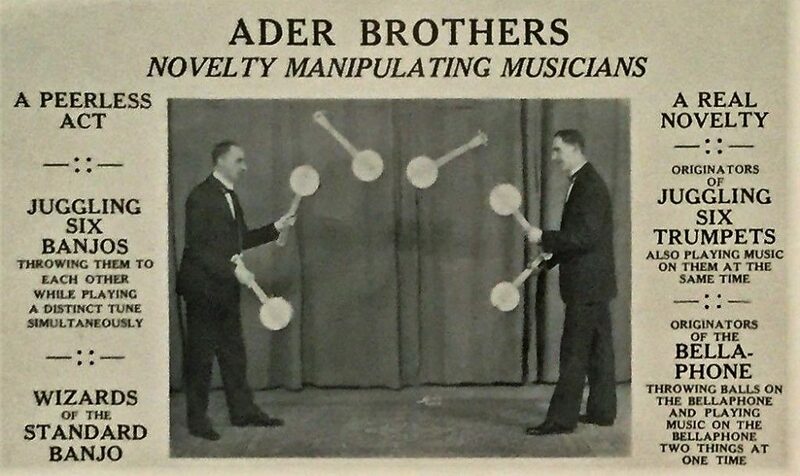 The Ader Brothers of Philadelphia, PA (USA) started out as performing club swingers around the turn of the century when they were young boys. 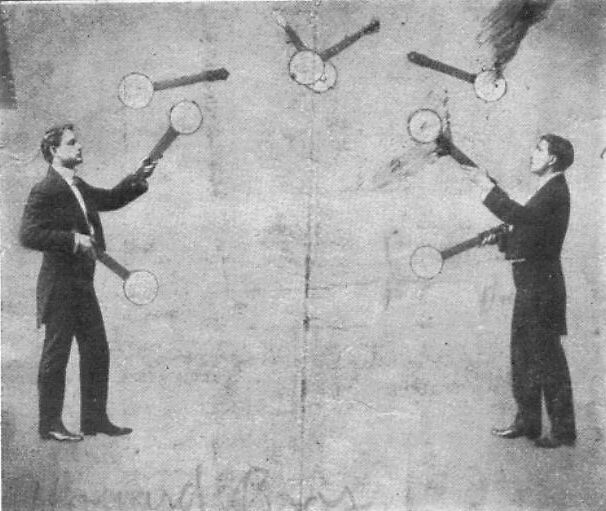 Eventually the became talented club passers and eventually put together a musical juggling act that included passing six trumpets while playing them, passing six banjos while playing them, and ball juggling that included bouncing the balls off of a wooden xylophone called a bellaphone, playing a tune through the bouncing. 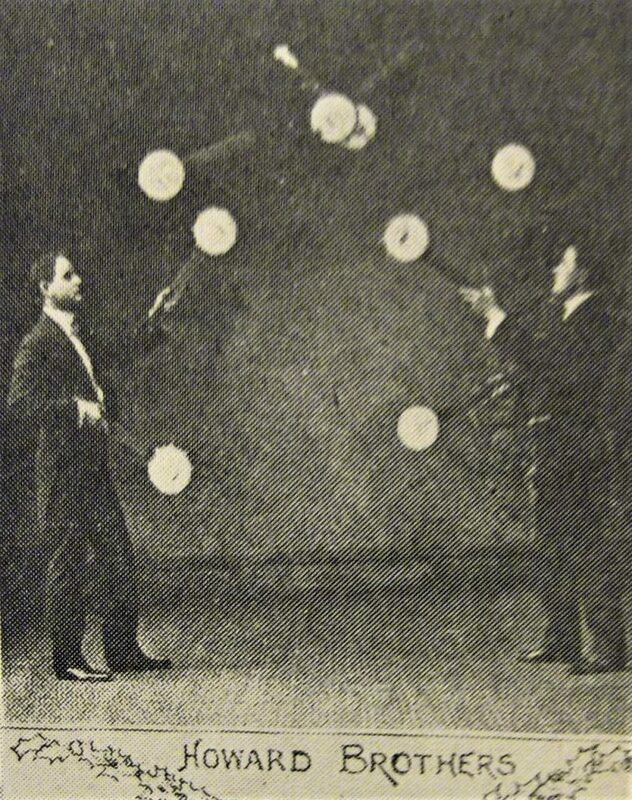 Another type of musical juggling act of the vaudeville era was tambourine spinning. 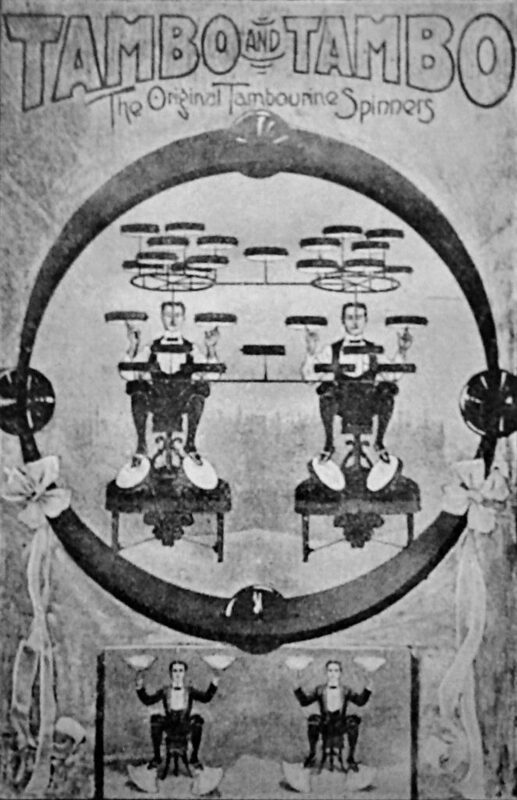 This is best understood by viewing pictures and illustrations of the four best known tambourine spinning acts; The Freeze Brothers, Tambo and Tambo, The Great Austins, and V.P. Woodward. 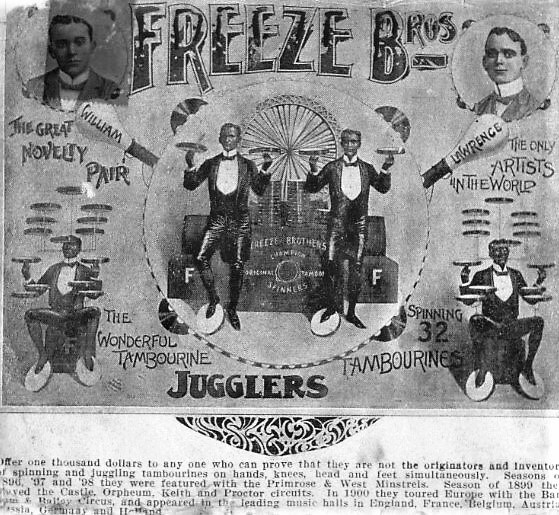 The Freeze Brothers began performing at least as early as 1894 and claimed to be the inventors of the genre. 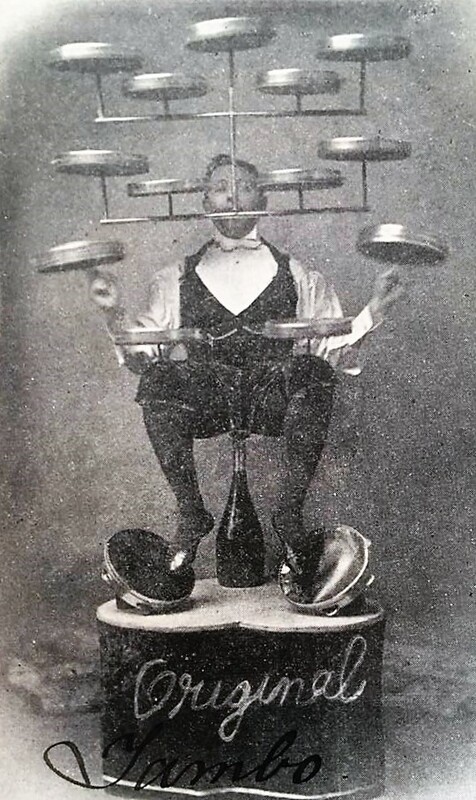 The founder of the troupe was Billy Fries, who had been performing as a solo tambourine spinner at least as early as 1892. 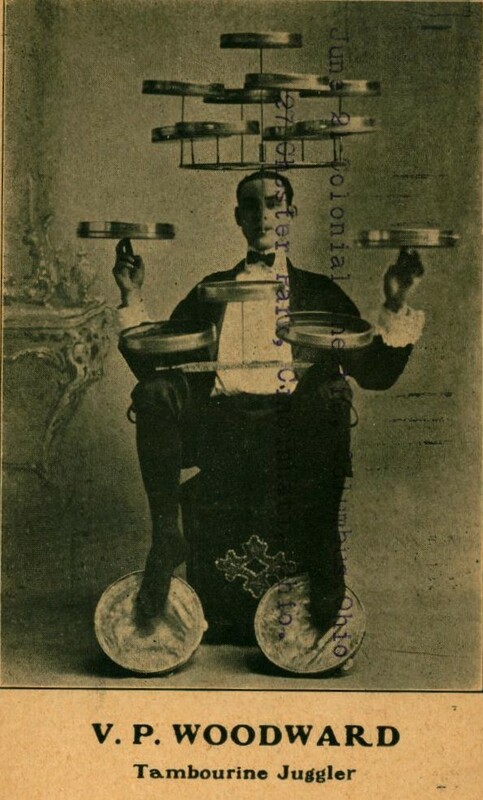 Sometime in the mid-1890s, he took on a partner and formed the Freeze Brothers, performing in blackface in minstrel and vaudeville shows and spinning up to 32 tambourines at a time. They performed up until at least 1910. Billy had at least two different partners, one named Lawrence and one named Frank. 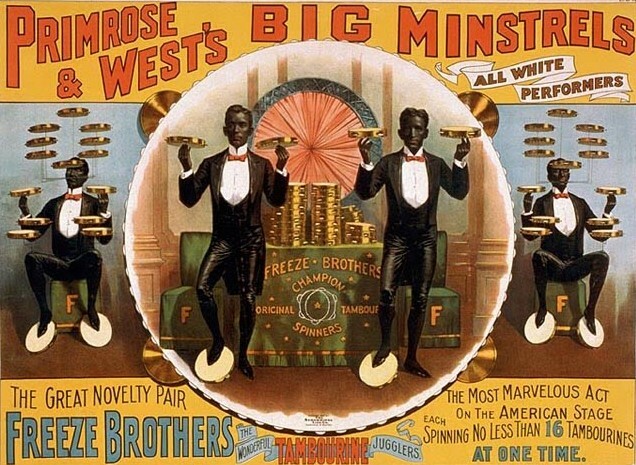 Tambo and Tambo were a very similar act to the Freeze Brothers, but didn’t perform in blackface. Tambo and Tambo were actually August and Walter Kliendienst. They also claimed to be the original tambourine spinners, but this is doubtful. 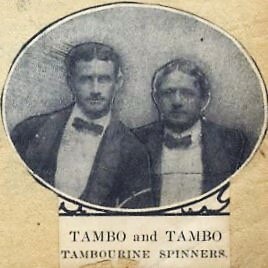 August Kliendienst had been a solo tambourine spinner as early as 1895 before forming Tambo and Tambo with his brother. The Great Austins were William and Helene Austin. 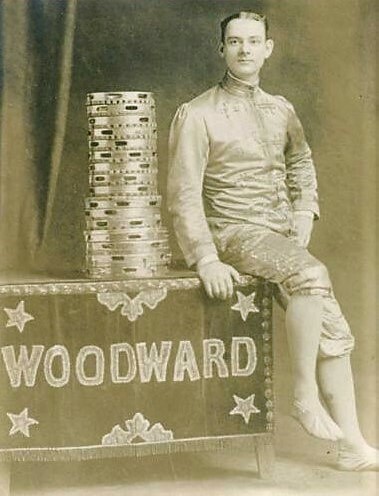 I’ve found references to William performing as a solo tambourine spinner in 1904 and Helene doing so in 1902. 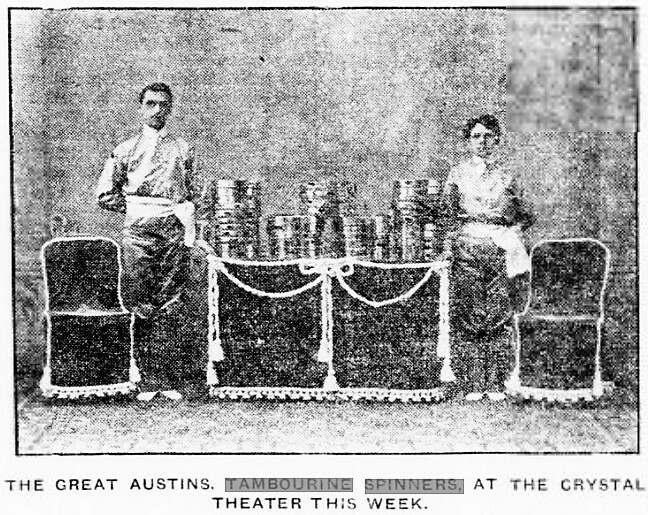 They started performing as the Great Austins by 1905. 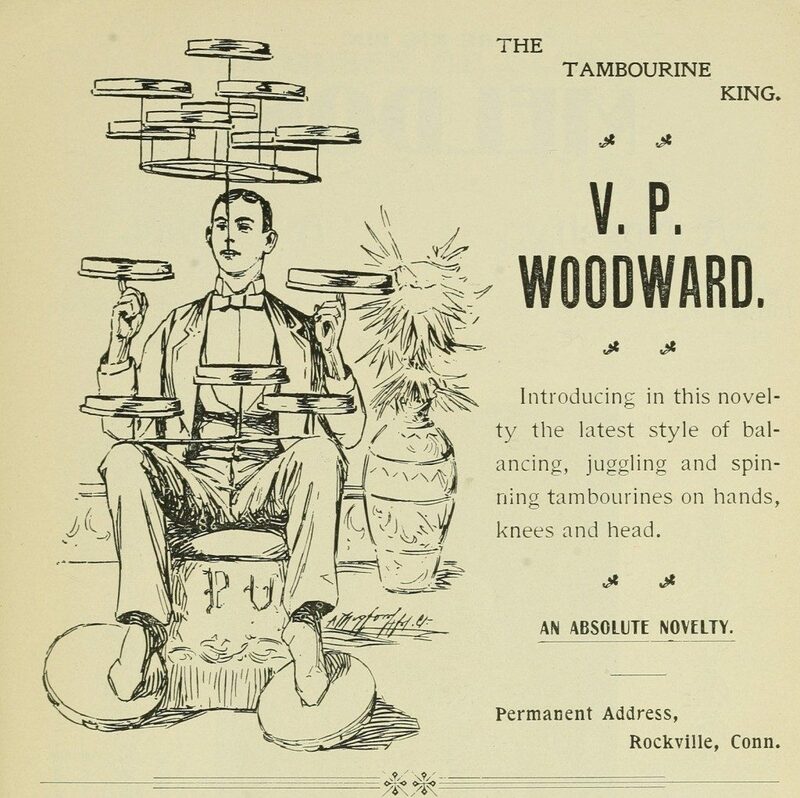 The most famous solo tambourine spinner was V. P. Woodward. 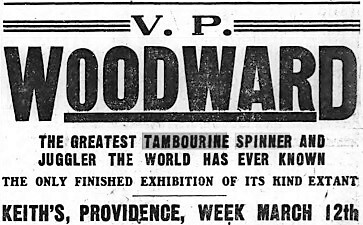 There were other tambourine spinners during the vaudeville era, such as Tambourine McCarthy in 1894, Senor Navarro in 1895, and Winfield in 1897. By the mid-1920s, tambourine spinning seems to have disappeared from the stage, never to be revived.